On Wednesday, May 17, Los Angeles families woke up to a new reality for education in the nation’s second-largest school district. Voters in two Los Angeles Unified school board districts voted resoundingly for change, electing two young progressive educators — both of them either current or former teachers — as our newest school board members. These two new board members, Nick Melvoin and Kelly Gonez, ran on a simple message: Our students deserve better, and to deliver for them we must start prioritizing their interests over those of the entrenched education bureaucracy. As every state in the country decides how it will approach the work of closing opportunity gaps for our most underserved communities, this election should remind them that voters are watching and that a lack of federal oversight is no excuse for weak plans and casual timelines. To be clear, voters in Los Angeles just sent this message — it is time to start putting the interests of children first. But sometimes it is not clear whether our representatives in the state legislature in Sacramento are listening. The latest chapter in the struggle of families against the bureaucracy unfolded a week ago, when families from Parent Revolution’s Parent Power Network traveled to Sacramento to testify in favor of Assembly Bill 1482, which would have made it easier for underserved families to transfer between school districts. Under current California law, parents must get permission from the school district to which they are zoned in order to transfer to a different district. This creates a perverse system where a school district can fail to provide a child with a good education and then can deny their ability to leave. AB 1482 would have taken away the ability of home districts to deny outgoing transfers for low-income students, English learners, and foster youth. Keshara, the mother of a second-grader and part of our Parent Power Network, told a powerful personal story to the Assembly Education Committee that captured the problems with the current system. Keshara told the seven elected officials how she had overcome homelessness and now works to provide support to other parents through her job with the Women and Infant Children program. She shared that she had moved to the city of Torrance, hoping to enroll her son Mikal in a good school. Unfortunately, despite attending college, working, and living in the city of Torrance, Keshara has an address that puts her one block away from the invisible and arbitrary wall that separates Los Angeles Unified from Torrance Unified. 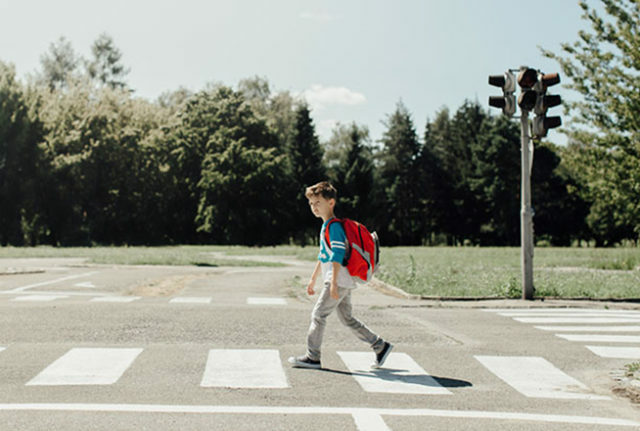 This means that her son has been zoned to a school with low student performance, lacking the after-school programs that would allow her to balance her own school and work schedules, and is in an area where she has safety concerns for her child. For each of the past two school years, Los Angeles Unified School District has denied Keshara’s permit to transfer, denying her son’s opportunity to attend a quality school, just across the street, simply because he lives on the wrong side of an invisible boundary. Yet despite this bipartisan support, the bill failed by just one vote, 4-3, meaning Keshara’s son may spend another year unable to access the high-quality public school less than a mile from his house. We would think that someone like Assemblymember Thurmond, whose district includes 14 elementary and middle schools in the bottom 5 percent of the state, would be a leading advocate for families to have better options within the public school system. But time and time again, we see that while Sacramento politicians are quick to praise the virtues of “local” control, they really mean “district control” and are more worried about protecting the system as it exists right now than affording families that opportunity to get a great education for their children. Sacramento made a move in the right direction when it switched to the new Local Control Funding Formula, but it has provided no oversight to ensure that districts are transparent about how money is actually spent, and that the money is actually used to close opportunity gaps by making it to the schools and students for which it is intended. Sacramento laudably began crafting a new school rating system that could incorporate multiple measures of school performance, but it then took four years to produce an incomprehensible “School Dashboard” that works for bureaucrats but makes it harder, not easier, for families to evaluate school quality. And Sacramento is currently putting the finishing touches on a statewide education plan that takes advantage of new federal flexibility to eliminate any requirements for districts to improve the schools that have been failing underserved students and communities for a generation or more. Parent leaders like Keshara will continue to fight to get a great education for their children and all children in their community. They want it today, and their children can’t wait. LA’s election results show that voters are on their side — they want to see a much stronger sense of urgency to improve schools for our young people. Now is the time for politicians from around our state to decide if they believe in the power of parents or if they will continue to strengthen the power of a bureaucracy that hasn’t yet proven that it can deliver for all children. Seth Litt is executive director of Parent Revolution. He worked for 12 years in the South Bronx as a teacher and principal, and he founded a charter school for at-risk youth in the court and foster care systems.